If you follow the Australian Ninja Scene at all you’ve probably scene Jaze online or even competed against him, but if you haven’t stay tuned, because he’s about to take the Ninja world by storm with some of his amazing skills. 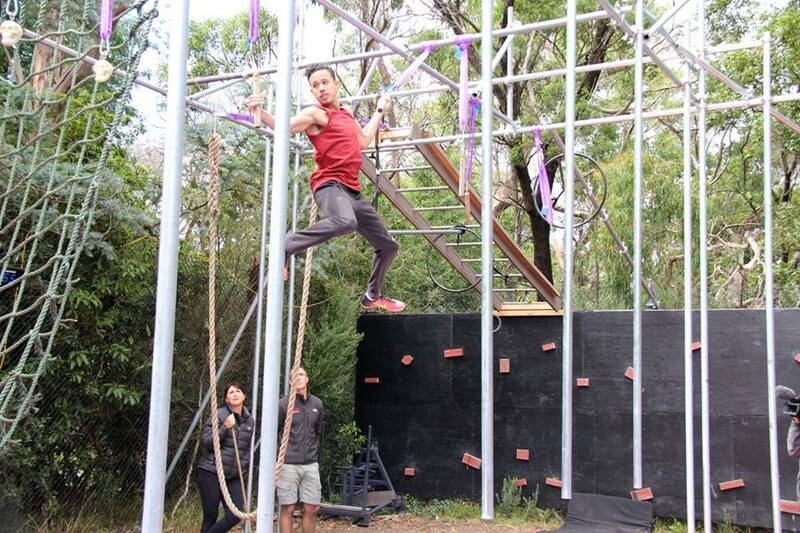 What originally got you in to Ninja Warrior training? What’s your favourite thing about it? Well I was coaching one day and one of my gymnasts was like ‘oh Jaze you know American Ninja warrior, they’re having and Australian version of it! You should enter! !” so that night I put my application in and went to the auditions. Unfortunately I didn’t get picked to be on the show and I was really disappointed. I then told myself that I am going to enter every ninja competition I can and train as many ninja related things that I could. I wanted to make it impossible for the selection team to over look me for next time I apply. 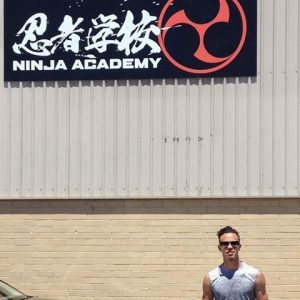 I started just training at the compound as a bit of a challenge and a change from gymnastics, but then I just fell in love with everything and anything ninja related. Apart from the awesome fun I have mucking around and training at the ninja gym, my favorite thing about ninja is the community and the culture surrounding this sport. I can honestly say that everyone who I have met in this sport is so supportive, humble and just a lovely person. My close ninja crew are like my family. 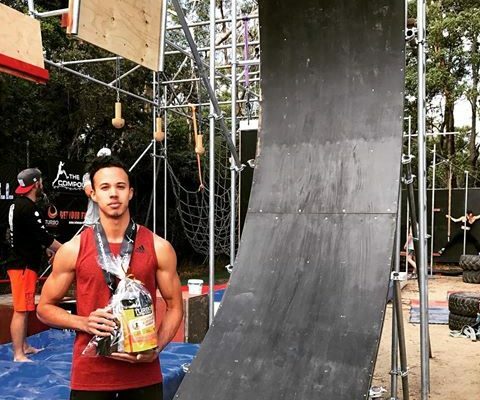 What has changed for you since auditioning for Ninja Warrior last September? I have definitely become more determined and clear about my goals. I’ve realized how much I love this sport and how much it means to me to keep going. I’ve had many opportunities pop up here and there which I’m forever grateful for. I’ve gained an awesome ninja crew who are all amazing lovely people. I’ve started coaching ninja classes at Beyond movement for Adults. I’ve gotten my gymnastics club interested in ninja, setting up obstacles and races. I’m currently in the process of designing a ninja set up at the gymnastics club I coach at. 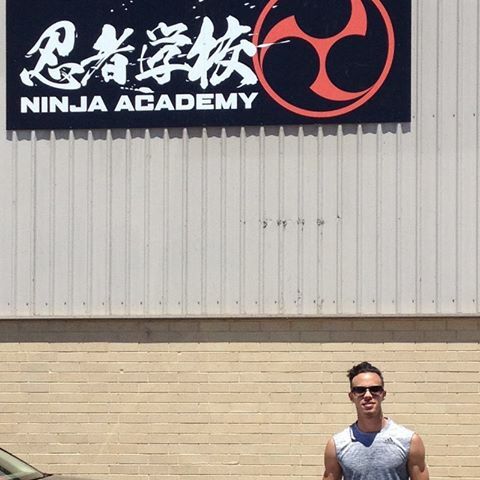 I got the opportunity to head interstate to represent victoria in the state vs state ninja competition. Do you have a Ninja name? How do you approach diet as a part of your training? Has it changed at all over time? My diet hasn’t changed too much. I tend to eat higher protein foods and then supplement myself with Turbo Superfood recovery shakes. You’ve recently started teaching a Ninja class at Beyond Movement. How do you go about structuring your classes so they’re approachable to everyone? Well my main aim of the class is to help people of any skill level achieve their ninja goals. Whether it be getting up the salmon ladder fast and smoothly or even being able to do a consistent spider crawl. 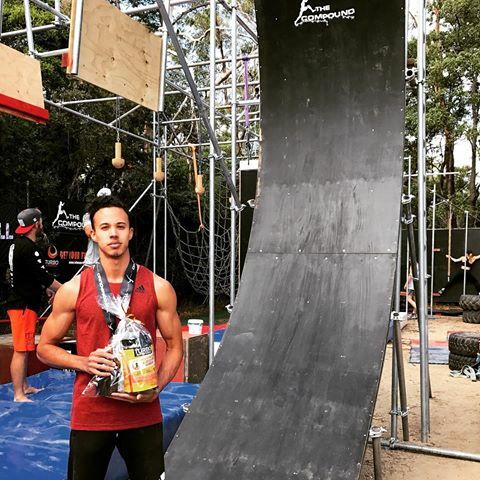 So therefore I structure the program so that every ninja obstacle is supplemented with relevant drills and progressions, that start off really easy and basic and then eventually progress to being able to comfortably execute the obstacle. I’m also a gymnastics coach and an osteopath in training so therefore my classes revolve around taking care of your muscles and joints to ensure longevity in this amazing sport. I make sure that my ninja’s walk out not only with their goals achieved but also with the knowledge of how to prevent the common injuries and wear and tare of this demanding sport from occurring. Anyone who’s followed your journey would know that one of your specialties are superhuman laches, most recently achieving a potential world record of 4.9 meters! (16 ft 1 inch). What goes through your mind in the time between letting go of one bar and grabbing the other? Normally as soon as I let go of the bar I know if I’m going to make it or not. So the times that I know I’m not going to make it I just think ‘okay I gotta keep my feet underneath me so I don’t land on my head hahaha” and for the times I know I’ll make it I’m just thinking relax. Catching the bar on the other side when you’re throwing yourself towards it with everything you’ve got is like catching a swung baseball bat. So the times that I do make it I’m just bracing myself for the catch. 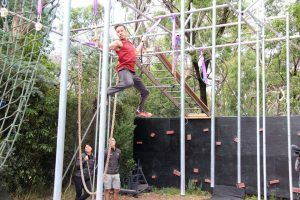 You competed in the State vs State ninja comp and soon you’ll be flying over to Perth to compete against the best in Australia as well as Drew Dreschel in the NCL finals. How do you mentally prepare yourself on competition days and how excited are you for these upcoming events? The night before the comp I’ll have a good stretch out and then do my mobility program I made for myself. This make me feel loose and strong when I wake up the next morning and helps with the little niggles and muscle pains you get sometimes. On the drive up I like to blast some Childish Gambino and old school RNB and just drift off. I don’t like to think about each obstacle too much before I go on the course and have a “set plan” to attack it. Because I feel like in this game, being able to adapt really quickly to each obstacle is important because you never ever know what’s going to happen next. I feel that going with the flow and executing the course smoothly is the way to go so therefore I don’t like to stick with a particular ‘plan of attack’ when on the course but instead be creative, adapt and go with the natural flow of the obstacle. I’m so, so, so excited for the upcoming NCL finals!!! I’m so looking forwards to catching up with the Perth ninjas again and having a great time with those amazing people. Also keen to meet Drew and race against him. And also just looking forwards to seeing all the hard work and training I’ve been putting in pay off and have a great time on the course. If people want to know more about you or follow your ninja journey, where should they look? Check out my instagram page @jazedubois this is where I have all my ninja stuff including my training, comps, classes, everything. 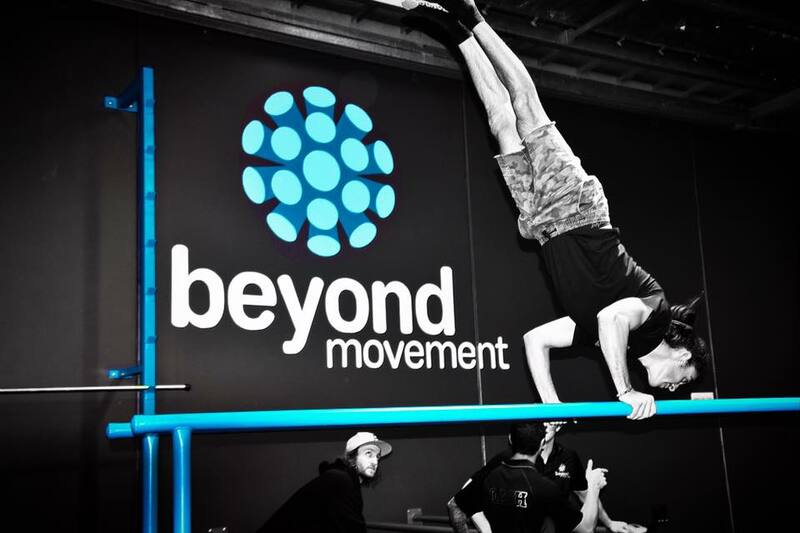 So if you want to see Jaze around the place, make sure your check out Beyond Movement and The Compound Training’s monthly series. Below I leave you with a video showing Jaze’s record breaking lache of 4.9metres. FINALLY hahah! After to many fails, face plants, blisters and bruises I can safely say I’ve gotten the LACHE WORLD RECORD of 4.9 meters!!! The Guiness World Record guys are taking so long to get back to us about making this an official record, so if you could PLEASE SHARE this video this will increase the chances of this lache becoming an official world record! You will also be helping me achieve my childhood dream of having a world record. Thank you so much, this will mean the world to me! Thank you to Clem Vertigo from The Compound Training and Leonard Lion Hermawan for filming all my stacks and thank you to Turbo Superfoods for the support! ← AusNW Season 1 Episode 4 recap! → AusNW Season 1 Episode 5 recap!